The Forest Society is currently recruiting new volunteer land stewards for a number of our Forest Reservations across the state! Do you like to hike off-trail in the woods? Would you like to explore conservation properties and enjoy the challenge of navigating through the forest with a map and compass? If so, the Forest Society's Volunteer Easement Monitor Program (VEMP) may be a great fit for you! The American chestnut is a large, monoecious deciduous tree of the beech family native to eastern North America. Before the species was devastated by the chestnut blight, a fungal disease, it was one of the most important forest trees throughout its range, and was considered the finest chestnut tree in the world. Citizen science provides opportunities for volunteers to help with science research aimed at understanding the natural environment in New Hampshire. Visitors to our forest reservations can contribute to environmental monitoring through digital photography with our Picture Posts. 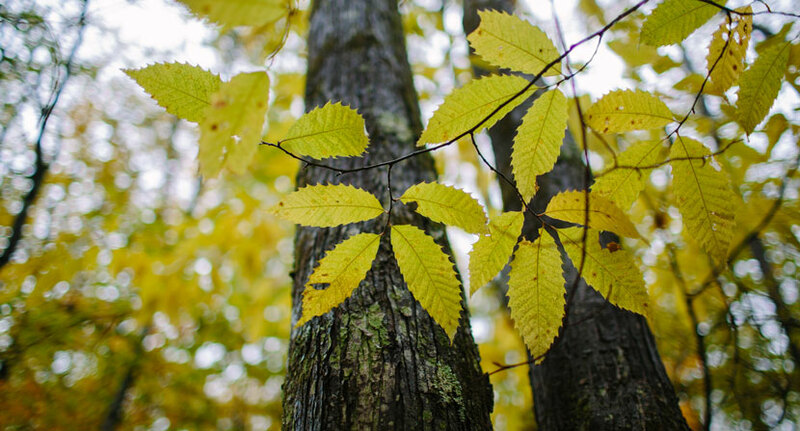 In addition, we train volunteers for long-term citizen science projects through partnerships with the American Chestnut Foundation and Hubbard Brook Experimental Forest.